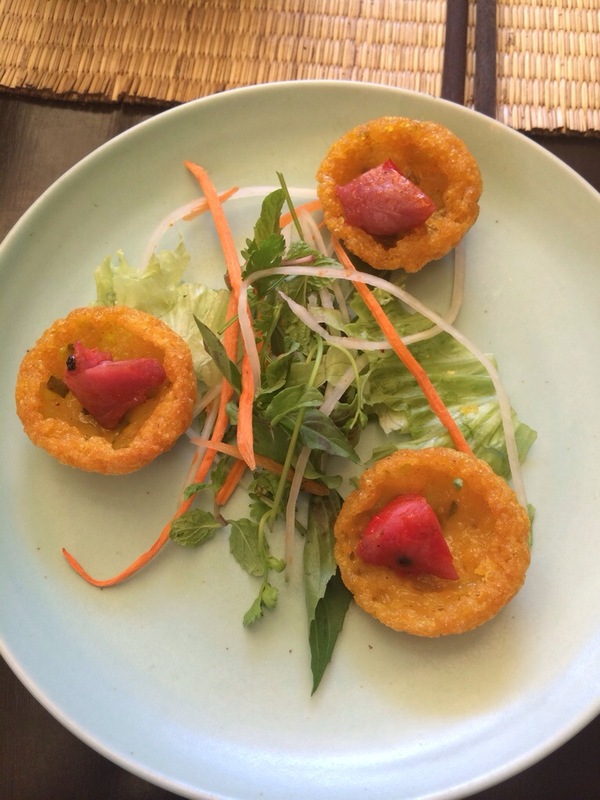 Fun and interesting half day learning about Vietnamese food and the Hoi An way of life. 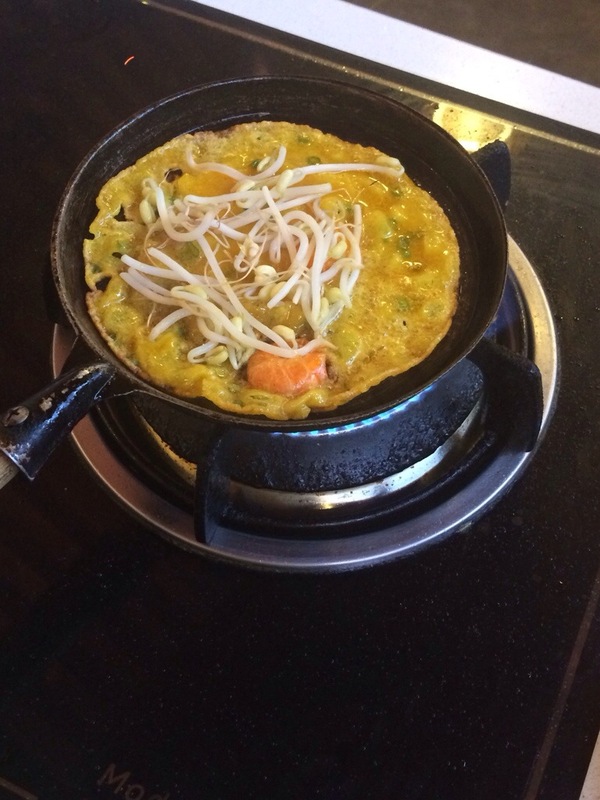 Highlights: All you can eat traditional Vietnamese breakfast served at The Market Restaurant. 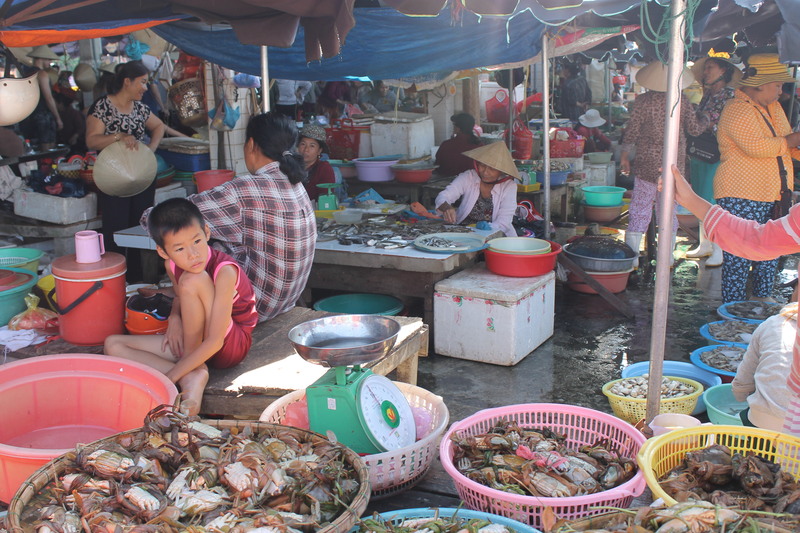 A guided tour of Hoi An’s colourful central market, followed by an interesting and informative tour of The Market Restaurant watching live cooking demonstrations with many food tastings. 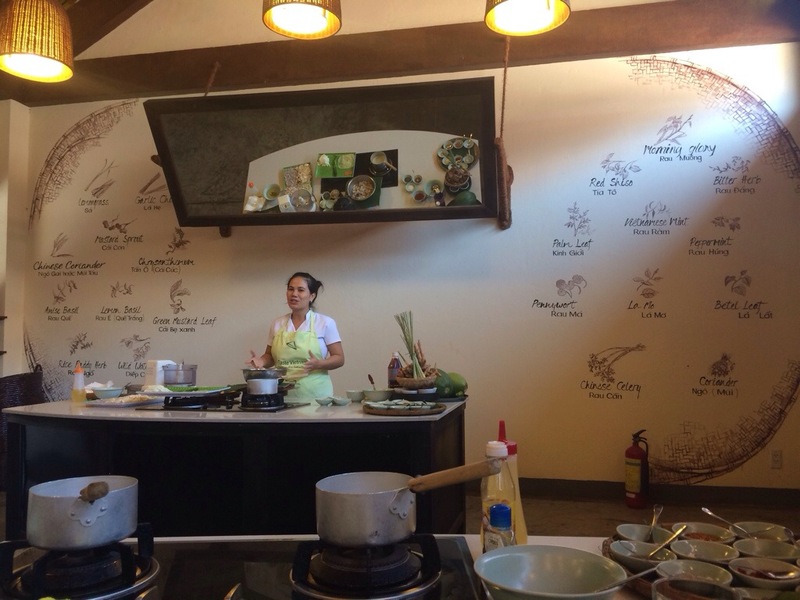 2 hour hands on in-depth cooking class, lunch, recipes and Vietnamese cooking utensil to take home. $30 seemed like a pretty damn good price considering all of the inclusions, so we emailed Morning Glory to reserve our spots. They were fantastic, emailing us straight back to confirm our booking, advising us that payment was required in cash (VND) on the day. Easy! 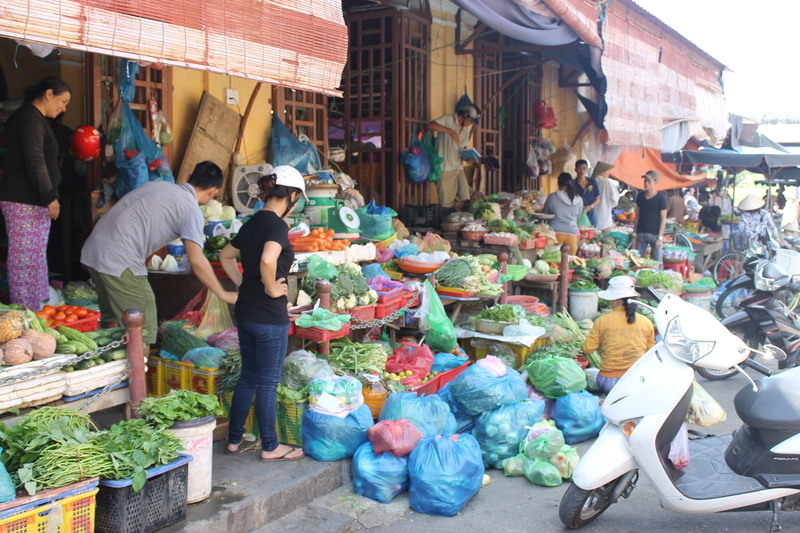 After breakfast, we set off to check out the market where all of the supplies for the restaurants were purchased, fresh daily, of course. It was really great to see it all with a local guide; it’s one thing to check out a local market, but it’s quite another to see it with someone who knows it inside out and can actually give you great information about what you’re seeing, and the way of life and prior events that lead to the sights you see on the day. After the market visit, we went back to the restaurant, which had been cleared after the breakfast service and was now setting up for lunch, I assumed. 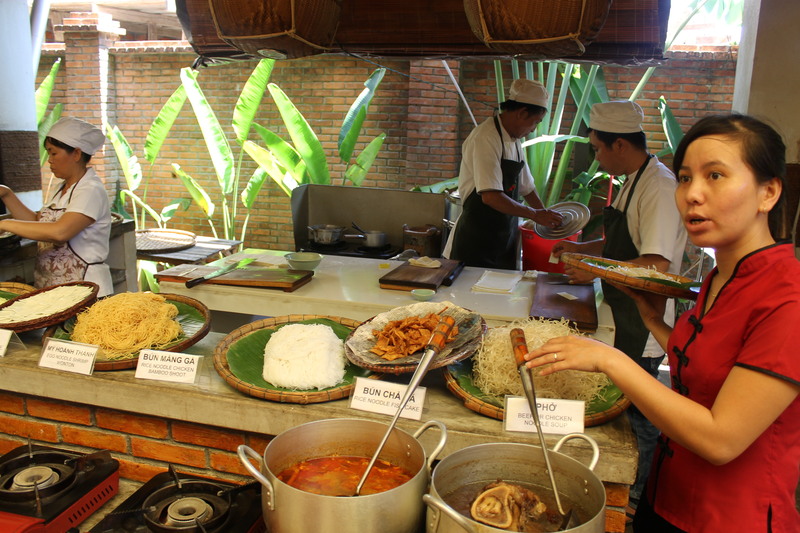 We had the chance to watch some of the chefs at work, making fresh rice noodles, white rose dumplings, and other delicious bits and pieces. Then came the good part – learning to cook!!! YAY!! The lady who took our class was wonderful – she was a sweet little thing who was all about cooking well enough to keep your husband happy, which was really entertaining for us western girls who expect our men to keep us happy! 1. Prawn and cabbage parcels in home made cabbage broth. 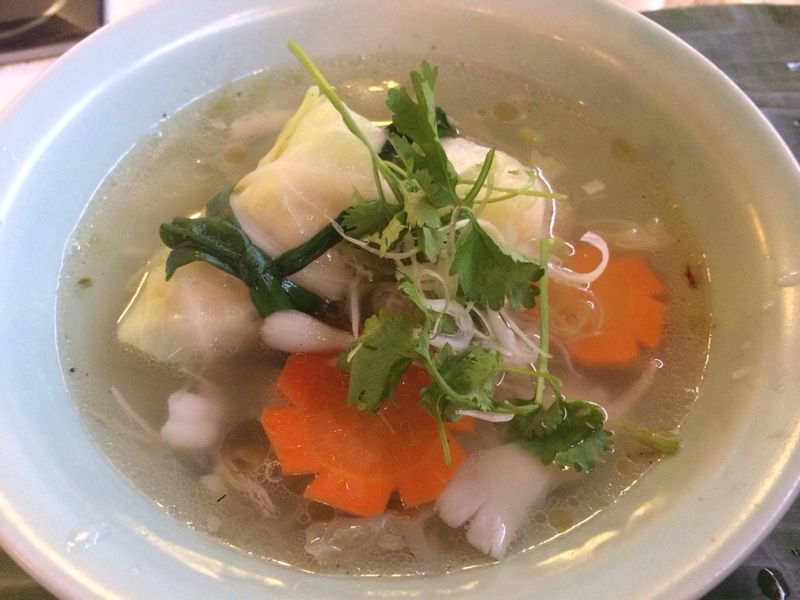 If you’d tried to tell me that cabbage broth could taste THAT good before this class, I’d have laughed at you. Now, I crave it. 2. 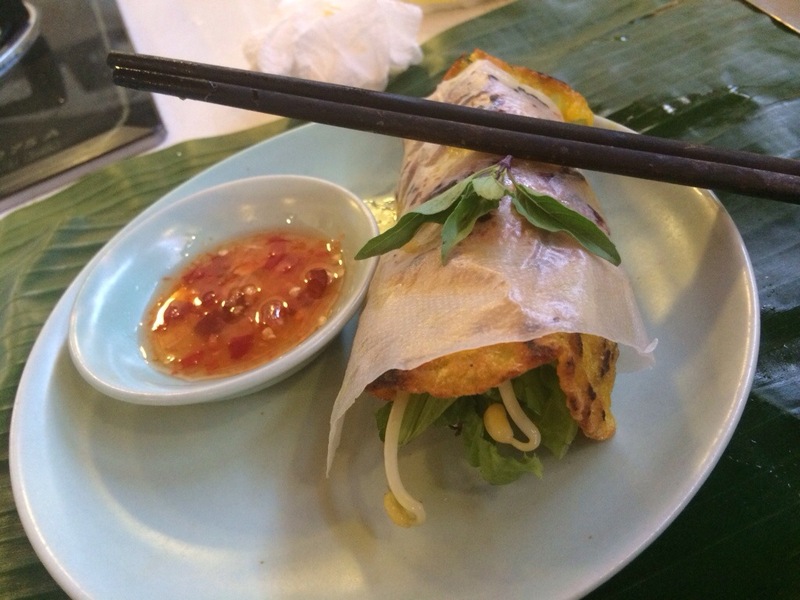 Next up was my favourite – banh xeo – Vietnamese pancake! 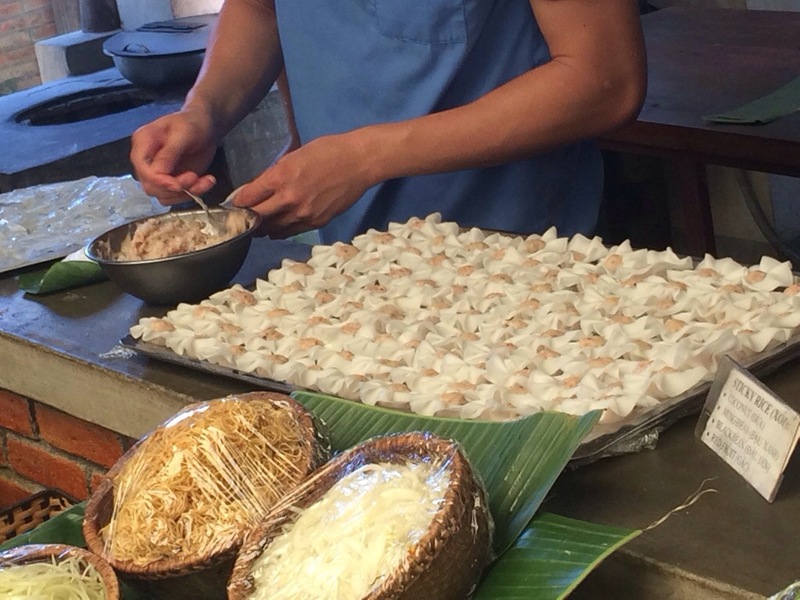 I ate so many of these around Vietnam and was SO excited to actually try my hand at one! It came out surprisingly well and ended up being one of the better pancakes I had! Yay me! 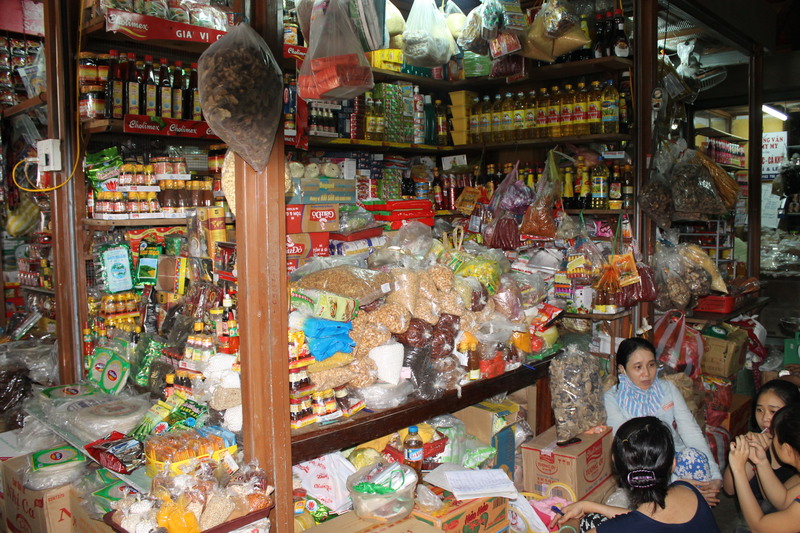 They were really light and flavourful – we actually found out that you can purchase packet banh xeo mixes from good Asian grocers, and to my delight I’ve actually found a place I can get them from back at home! 3. 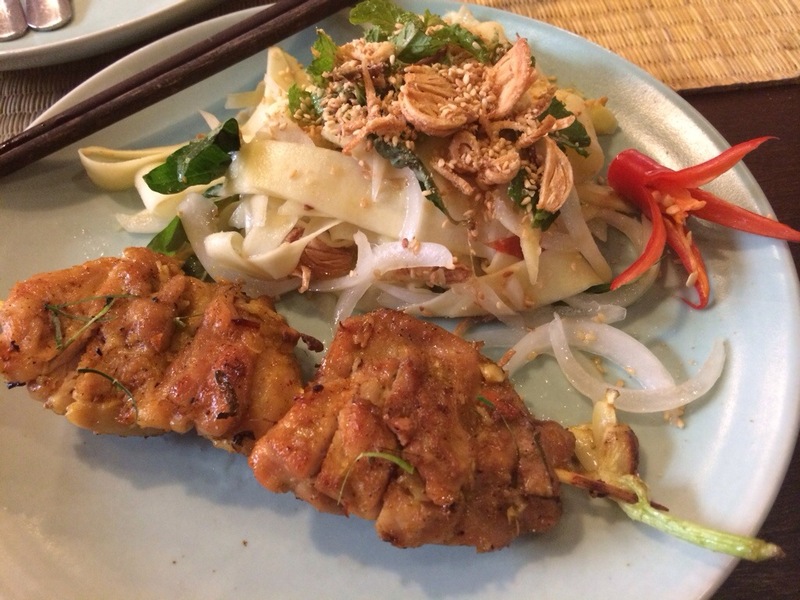 An incredible green mango salad with marinated and barbecued chicken skewers. That tray of herbs and spices ALL went into our chicken marinades, just in different amounts depending on what we wanted to stand out more. 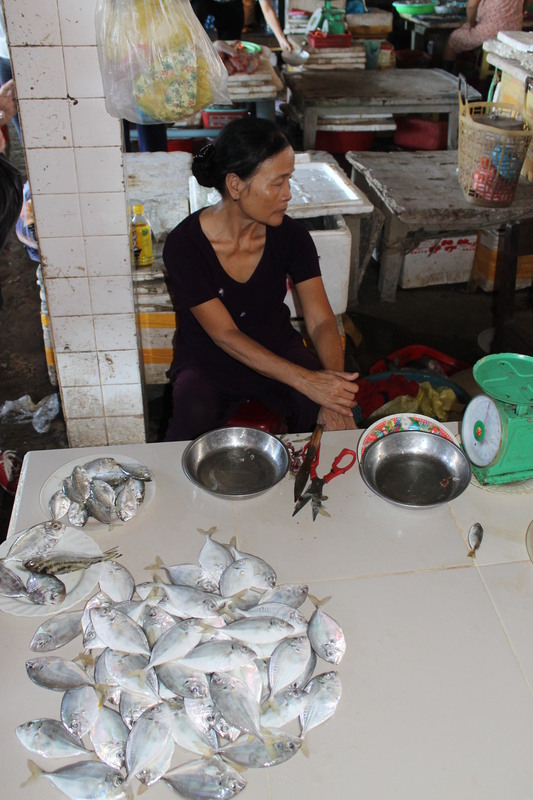 I favoured the garlic, lemongrass, shallots and lime, personally. We used chicken thigh, and the result was a phenomenally succulent, juicy piece of chicken – the light and tangy salad was the perfect accompaniment for the intense flavours of the chicken. We ate our soup and banh xeo immediately after making it, but we actually all got to sit down together in the restaurant to eat our salad and chicken, which was a really nice opportunity to chat to our fellow travellers and cooks! We met some really nice people, got to share our stories in travelling and cooking, and really loved the time to kick back and take it all in. Sib and I also each purchased the Morning Glory cook book, which has been getting a lot of love since getting home – one of the recipes to come later in the week! Has anyone else any other cooking school recommendations?? I did another fantastic one in Bangkok with BaiPai, and am planning to do one in New Orleans in January – more suggestions would be VERY much appreciated, in any and every city!!! 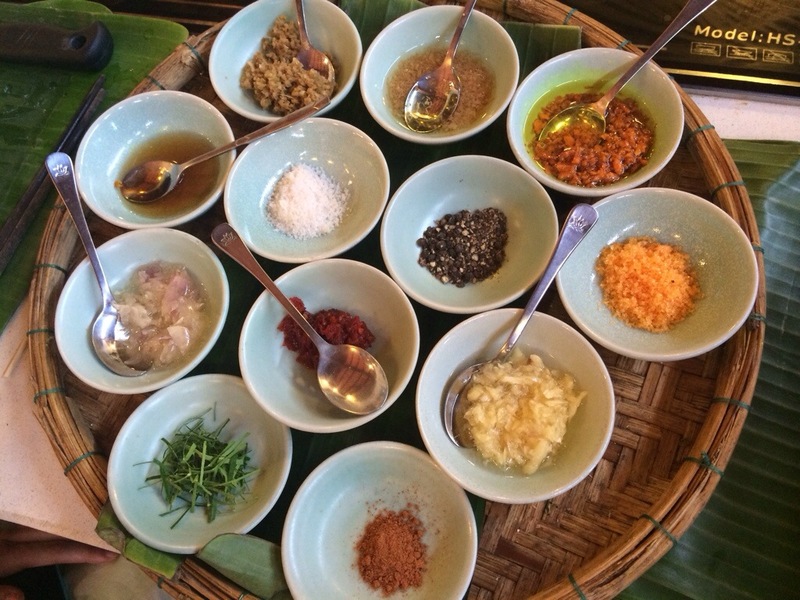 I enjoyed Cookery Magic in Singapore. It is held in the host’s backyard! I didn’t do a cooking school in New Orleans as those I looked at didn’t suit us time wise, but I can recommend Confederacy of Cruisers culinary bike tour. You get to ride around and visit eateries that a lot of tourists wouldn’t normal get to. Ohh thank you SO much, what great info!!! Will definitely check that out, thanks! 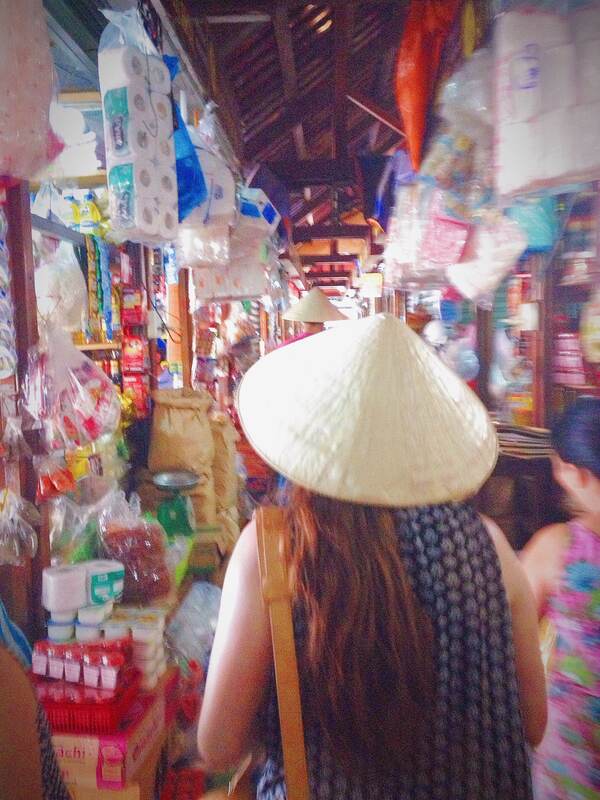 tour was my great time in Hoi An so far. Thanks for recommending it.